I can't believe there are only three days left of 2017. I always spend the time between Christmas and New Years to prep for the new year. Mentally, physically, spiritually, and emotional. A few weeks back, I woke up early in the morning to jot down some of the things I want to see happen and change in 2018. Everything from my home to my blog. Since this is my last blog post of the year (AHH!) I thought I would share with you all why I blog and the purpose behind it. I have never really addressed it and all bloggers blog for different reasons. 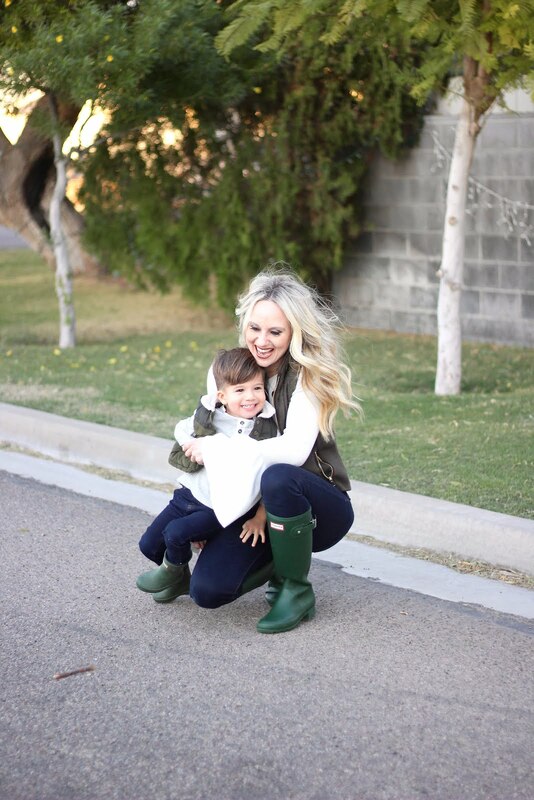 First, it all started to document my pregnancy with Hudson. I am so thankful for all the mom bloggers that I came across on the internet and social media for their wisdom, ideas, and tips. Seriously, such a life saver for me! Being a brand new mom, I had no idea what I was doing or what products I needed. I have learned so much for other moms. My sole purpose is to INSPIRE. To help women and/or mommy's with ideas, learning resources, kids fashion, sales, and maybe to find something that will make them feel beautiful. There are so many women/moms I have met who work such long hours, they honestly don't have time to shop, let alone dig around for sales. Or they are looking for something to do with their kids. So I share what I find to help and save time. It may also help them step out of the comfort zone. Is it to sell you something? NO. Yes, I make a commission off of sales; however you would be shocked at what the percentage is...not much. But, yes the extra money is helpful to compensate my time to help support my family, while staying at home with Hudson. Which is my number one priority. So with using things like the "swipe up" feature on Insta Stories, it is a fast easy way for someone to purchase something if they don't have time to go here on my blog. I recently saw something another blogger, Katey McFarlan of Chronicles of Frivolity, shared. She said " Blog photos are the exact same as shoots you see in magazines. My blog is never to make you feel like you NEED to buy something or you NEED a perfectly clean home. It's to help you with your decisions, make your life easier with last min shopping and give a little inspiration." I honestly couldn't have said it better myself. And that is why I blog and why a lot of others blog too. Remember that photos you see on social media are just photos, they are edited and perfected. Life is not perfect. No one's life is perfect. And anyone trying to convey that is kidding themselves. Stop buying into that lie. Stop comparing yourself to others on the internet. I do not wake up looking like my blog photos. And I get down on my own hands and feet and clean the dirt off my baseboards (haha did that yesterday). We are all equal. But I aspire my blog to be an escape. A creative outlet for myself. To help life be a little easier with inspirational content. With that said, I would love to know what you want to see more of. 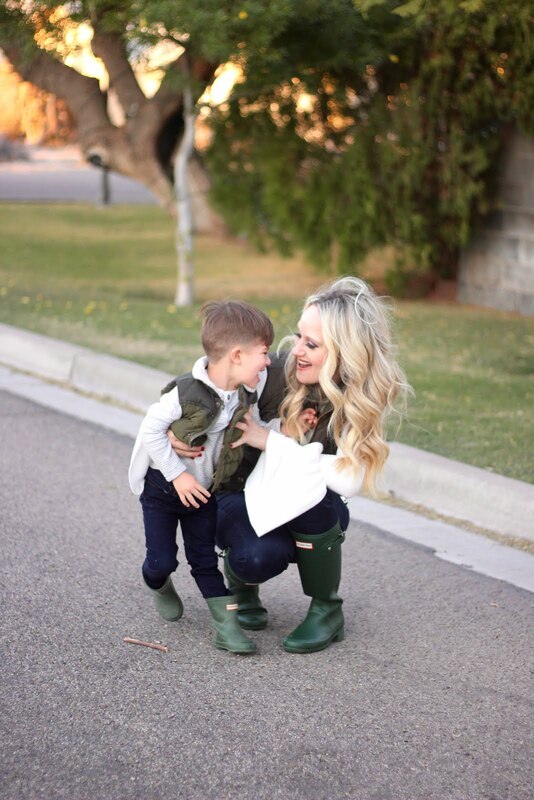 Kids fashion, Motherhood Tips, etc... just leave a comment below!